It is sometimes sad to say goodbye to long summer days, but September gives us the perfect mix of warm days and cool nights. With kids starting back to school and fall projects starting around the house, it’s the perfect time to try out something new. In this issue, you’ll find meals that will give the whole family something to look forward to. There are some that you have probably never tried making before, and some twists on old favorites that you’re sure to love! The September issue of Home Gourmet Magazine is live - and I am in it! It's our biggest issue yet - with over 30 recipes, over 90 pages, and 19 contributors. To use the code, which will give you free access for 2 months, you just need to hit "Subscribe" and then choose "Current Subscribers" and enter the coupon code. If you have any trouble, please feel free to send a message to support@homegourmetmagazine.com and we can help you out. 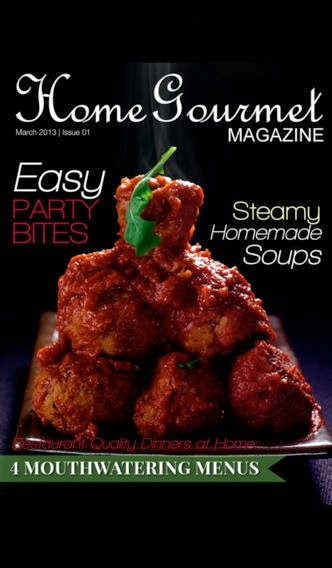 Every month, Home Gourmet Magazine donates a portion of our proceeds to charity. This month, we are supporting Feeding America. Feeding America is the nation’s leading domestic hunger-relief charity. Their mission is to feed America’s hungry through a nationwide network of member food banks and engage others in the fight to end hunger.